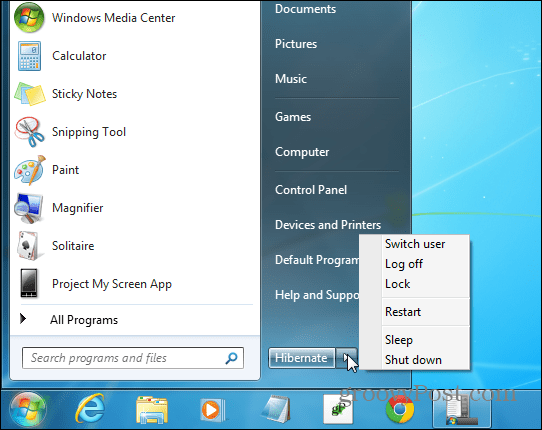 When you shutdown your Windows 7 PC, do you always select Sleep or Hibernate? Here’s how to make your number one choice the default on the power button. When you go to shutdown your computer, do you always select Sleep or Hibernate? Wouldn’t it be easier to have it do that by default when you click the Power button? 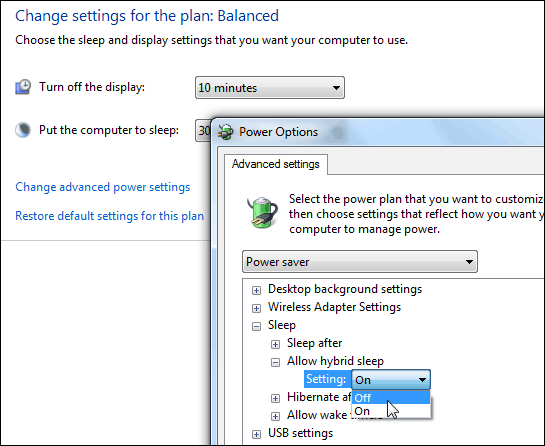 If so, here’s how to make your regular power option the default in Windows 7. First of all, if you want Hibernate as an option, you’ll need to bring it out of hiding. 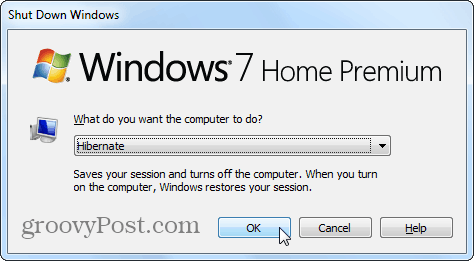 To do that, check out our article on how to enable Hibernate mode in Windows 7. Now to set up the default action for the power button in the Start menu, right-click the Start button and click Properties. After that you should see the Start Menu tab open in the Taskbar and Start Menu Properties screen. Next to Power Button Action, select the action you want to set as the power button default. I would assume the most popular choices would be Sleep, Hibernate, or Shut down, but the other options to switch user, log off, etc. are available as well. Here I selected Hibernate, and now that’s listed as the default action on the power button in the Start menu. Of course if you want to do something else you can click the extension menu to lock it, log off, switch users, etc. If you use the old school keyboard shortcut Alt + F4 to shutdown your Windows 7 system, whatever you chose will be the default there as well. What is your favorite way to shut down your Windows 7 computer? Leave a comment below and let us know.